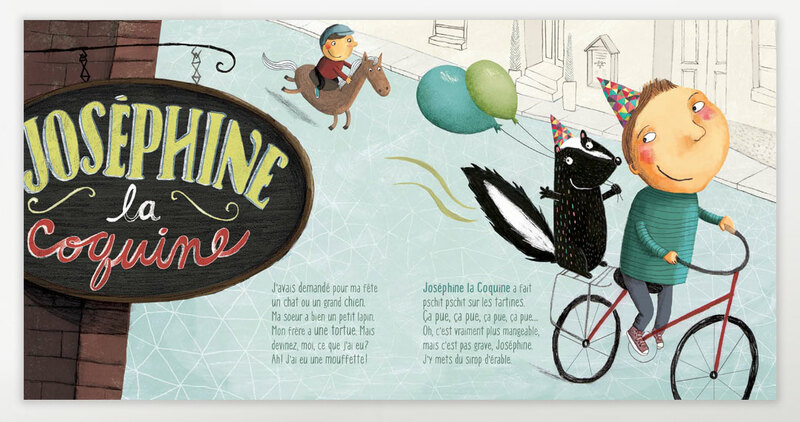 A charming children’s story set to various styles of music, from rock & roll and soul to rap and disco. For his birthday, a small boy receives a very special gift: a skunk! He chooses to name her Josephine and together they become best friends. 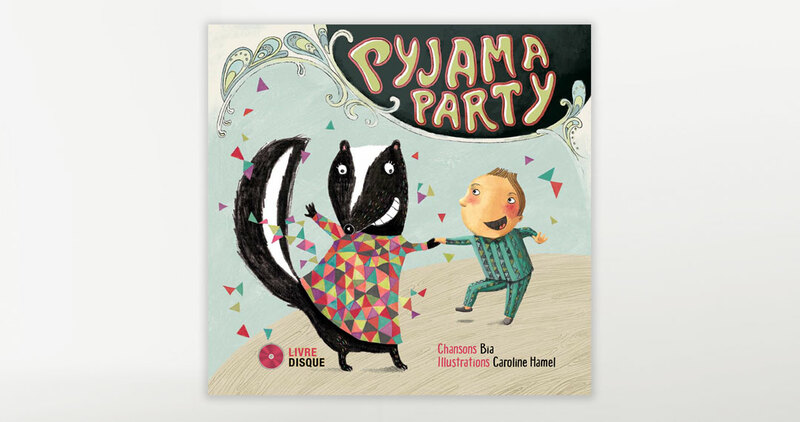 The duo takes great pride in putting on pyjama parties with a cast of zany characters including a sleep-walking dog, a grizzly bear policeman, and a rabbit who is deeply in love with a fox. Bring down the lights and turn on the disco ball, it’s time to dance! 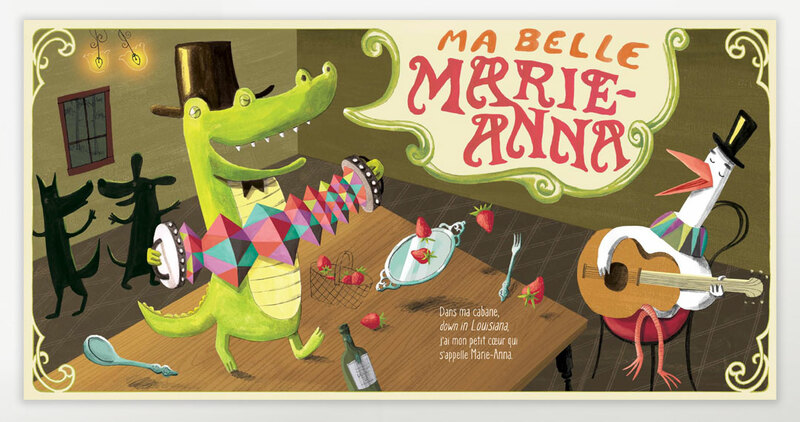 Caroline Hamel has illustrated a number of children’s books, including Maman perdue, which earnedher the Quebec / Wallonia-Brussels Prize for Children’s Literature in 2007. 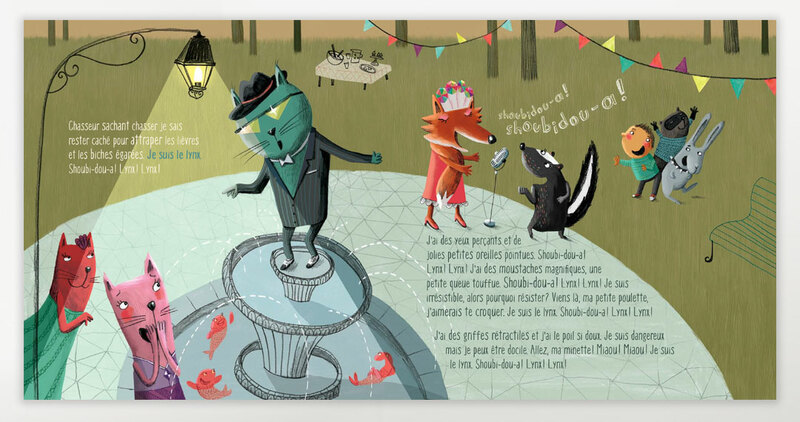 She is a five-time recipient of the Prix Lux in Quebec and has published her illustrations in Times, Châtelaine, and L’actualité.